Now that covers it all! Such a simple idea, easy install, beautiful new floor! Whole rooms, just a mat size, Industrial or garage. Use at home, work, and industrial conditions. 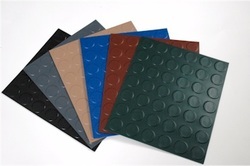 Made from Tough Polyvinyl, and brought to you straight from the manufacturer by not only an authorized distributor, but a floor matting manufacturer also. 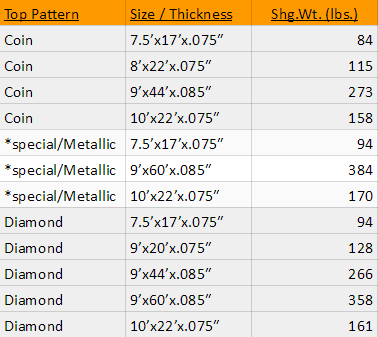 Comes in Standard(.055), Commercial(.075), and Industrial(.085) thicknesses to fit any situation. These floors will not crease and buckle and in most residential situations Standard or Commercial is great. 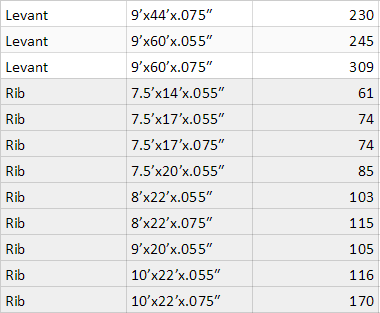 See Chart Below - it can get confusing, Some Sizes only come in some Top Patterns, & only is some Thicknesses. Typical problem with garage snap together tiles, they look great but they leak, and how do you cleanup liquid underneath them? You can't tear up the floor every time, But you can lay the Clear G-Floor over them and solve the leak problem while still seeing the cool patterns. G Floor... problem solved!